Thank you for your interest in Saint Ann School. Since 1921 our program has been educating students of all faiths, resulting in the graduation of thousands of successful alumni. 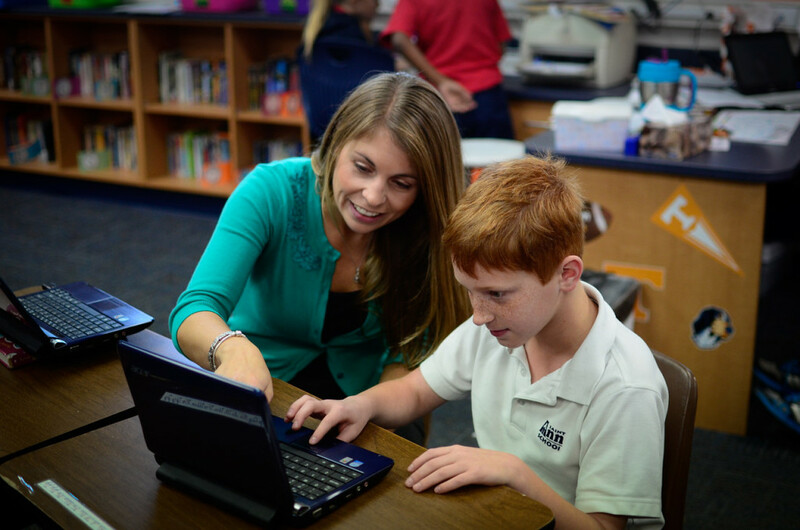 Educational excellence is a top priority at Saint Ann School. We strive to provide our students with the best instructional materials available and to be on the cutting edge of educational development in all areas. When you come to our campus you will see happy students who care about their classmates like family, for that is one of the ways we describe our school community - a family. Our program challenges students not only to achieve high academic performance, but more importantly to care for and serve one another as brothers and sisters. As you begin this difficult task of choosing a school for your child, we urge you to think about what your child needs, and what your family wants out of a school. Do you want a large school, or a more intimate climate? Do you picture your child in a school focusing primarily on academics, or a program where a student has time to explore literature, politics, forensics, and fine arts? Giving thought to these needs will help in this most important decision. Our city is blessed with many great schools. Your job as a parent is not so much choosing between good schools and bad, but rather choosing the school that best fits your child’s and your family’s needs. If you think Saint Ann School might be the right fit for your family, we encourage you to come and spend some time with us to see for yourself what Saint Ann School has to offer. We look forward to talking with you, and please let us know if we can help in any way. Please call the school at 615-269-0568 or send an email to our principal Anna Rumfola to make an appointment for a personalized tour. The best way to understand the qualities of a Saint Ann School education is to experience it first hand. We suggest you schedule a personalized tour of our campus during school hours. It is our philosophy that there is no one school right for all children. Parents should spend considerable time evaluating the unique needs of their child, the needs of the family, and the type educational environment desired for their child. Each school in Nashville is different and parents have the difficult task of matching their needs with what is offered by each school. 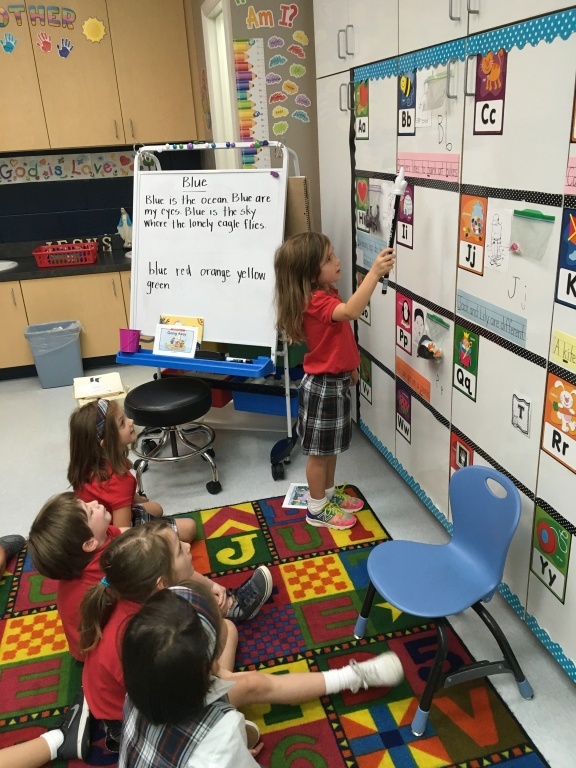 The formal application process for incoming Kindergarten students begins in January with a one-on-one assessment administered by the kindergarten teacher. The assessment is scored, after which we will contact you to with the results of the assessment and complete registration materials. In early spring, your child will spend 2-3 hours in the Kindergarten classroom. This will allow your child to become acquainted with the classroom, new incoming kindergarten classmates, and the Kindergarten teacher. STEP ONE: Schedule a school tour by calling 615-269-0568 or by sending an email to our principal, Anna Rumfola. STEP TWO: Schedule a "shadow day" for your child. During this day, your student will spend the day with the class he or she will join. Your child will be assigned a "buddy" in the class, who will be your child's partner during her day at Saint Ann. Your student will participate in all aspects of our program and will have first-hand experience of Saint Ann School and his or her potential peers. This will help you and your student make a decision about our school. Parents should bring previous report cards and standardized tests on the visit day. At the conclusion of the day, parents and the principal will meet to discuss enrollment. STEP THREE: Upon mutual agreement between parent and principal, an application will be given to the family for the upcoming school year. When the application, tuition agreement, and $200 non-refundable family registration fee is returned to the school, the student is fully admitted. STEP FOUR: After being enrolled, the family will begin receiving weekly newsletters and important information as a means of fostering the relationship between the family and the school. This relationship is critical to a child's success in school. STEP FIVE: An orientation will be provided for the parents of newly enrolled students in early August. STEP SIX: Upon acceptance, the Parish Finance Committee determines tuition rates; tuition payments begin 1 July and end 1 May.